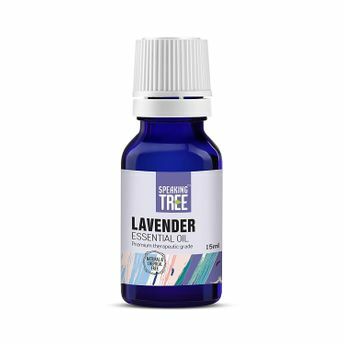 Speaking Tree's Lavender essential oil is 100% natural and organic. It contains premium therapeutic grade Lavender extracts which have cosmetic as well as therapeutic benefits. It is anti-inflammatory, relaxes aches and pains and induces sleep which has made it a common recommendation for an alternative treatment of insomnia. Alternatively, you can also find many more products from the Speaking Tree Lavender Essential Oil range.